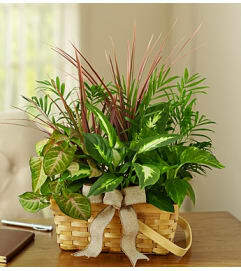 Bring abundant beauty and tranquility to the table with our truly original centerpiece arrangement. 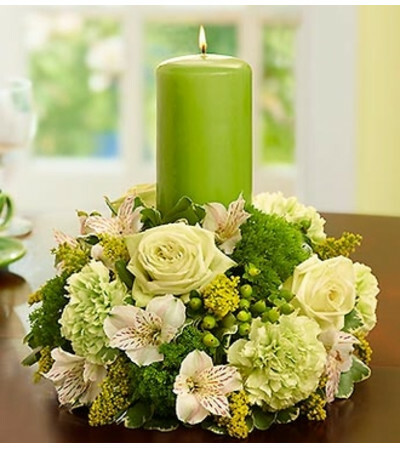 Spotlighted by green roses, a traditional symbol of calm, richness and good luck, it features an elegant green pillar candle that helps brighten up any day. Gathered with fresh carnations, hypericum and tick, it’s a lovely way to celebrate in style. 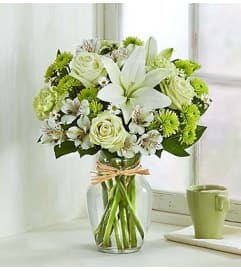 Hand-crafted arrangement of green roses, green carnations, green hypericum, green tick, white alstroemeria, solidago and variegated pittosporum.